This 1960 MK VI is a professional artist’s treasured tool. 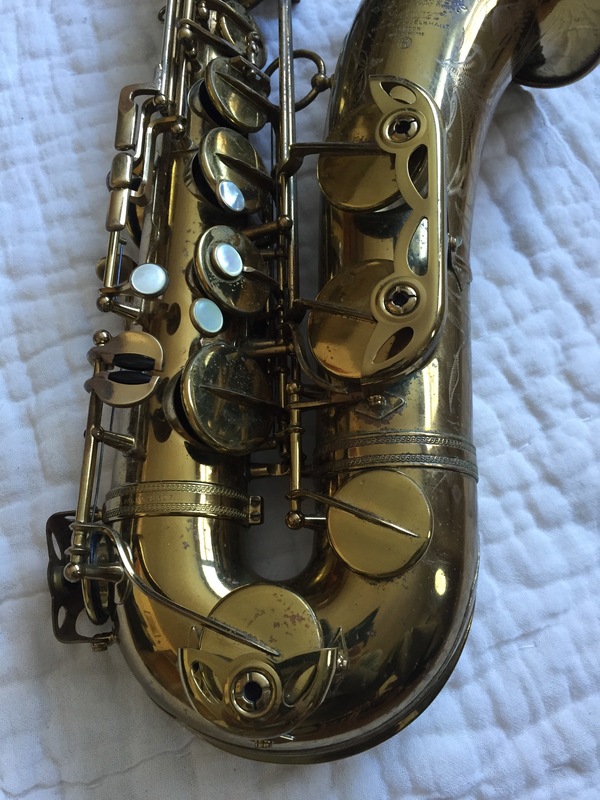 This has been my own main player for about a decade. 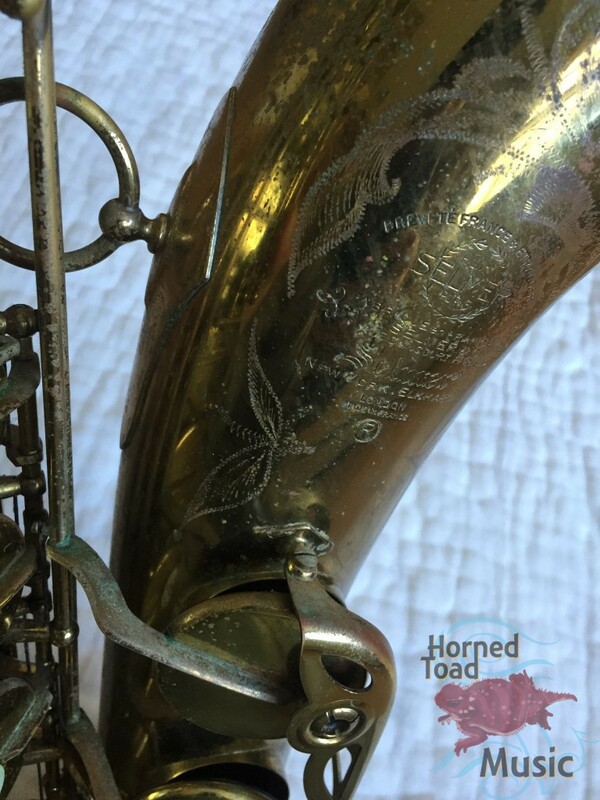 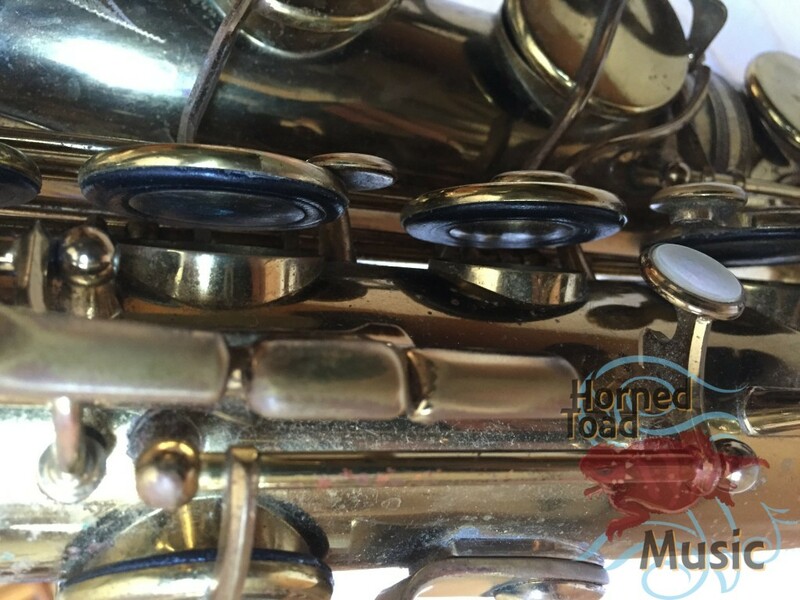 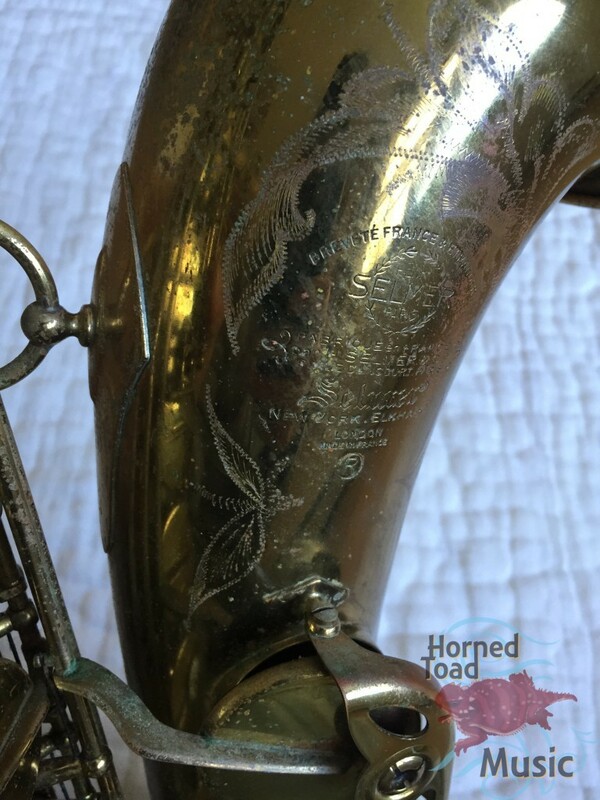 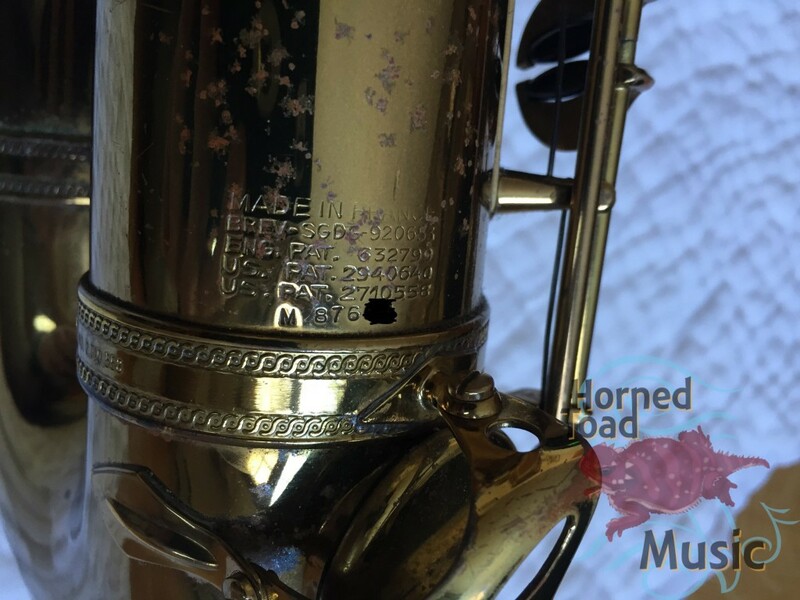 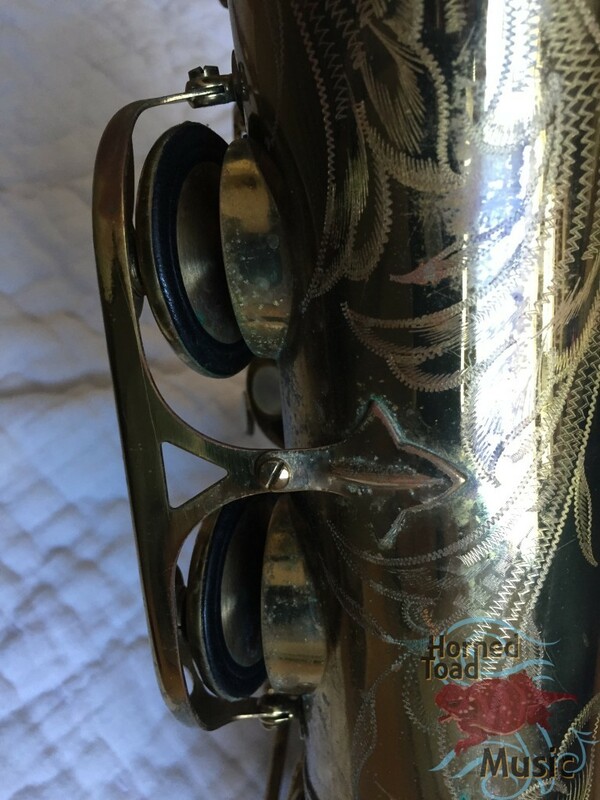 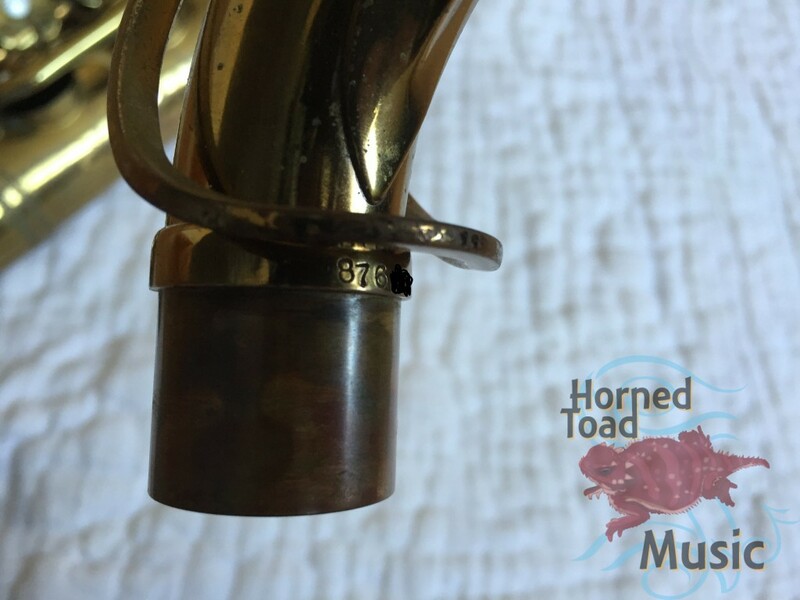 This horn is LOUD, edgy with a dark core and extremely precise. 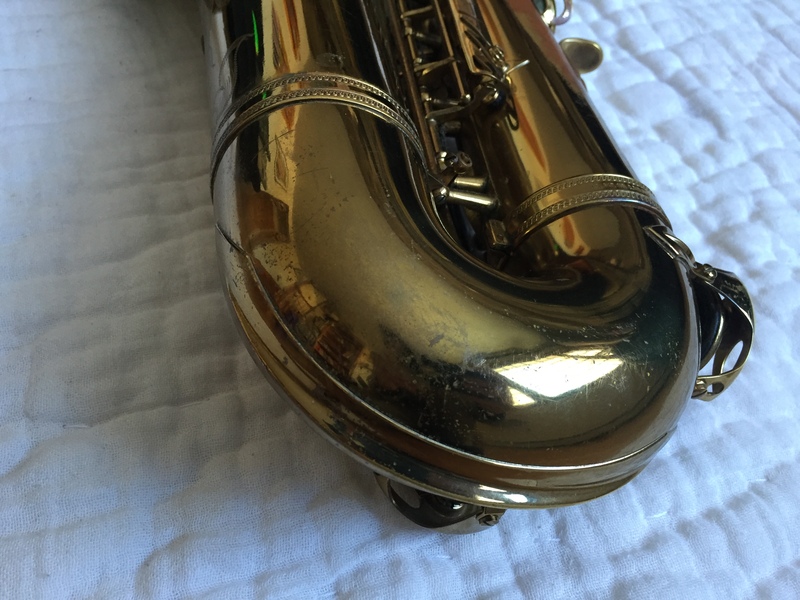 The intonation is beautifully controlled. 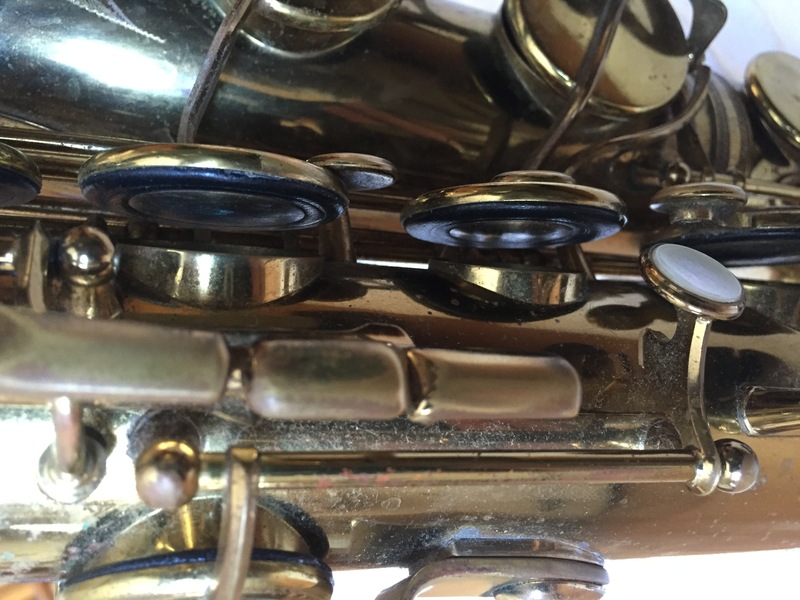 The response is quick and the air column feels very broad. 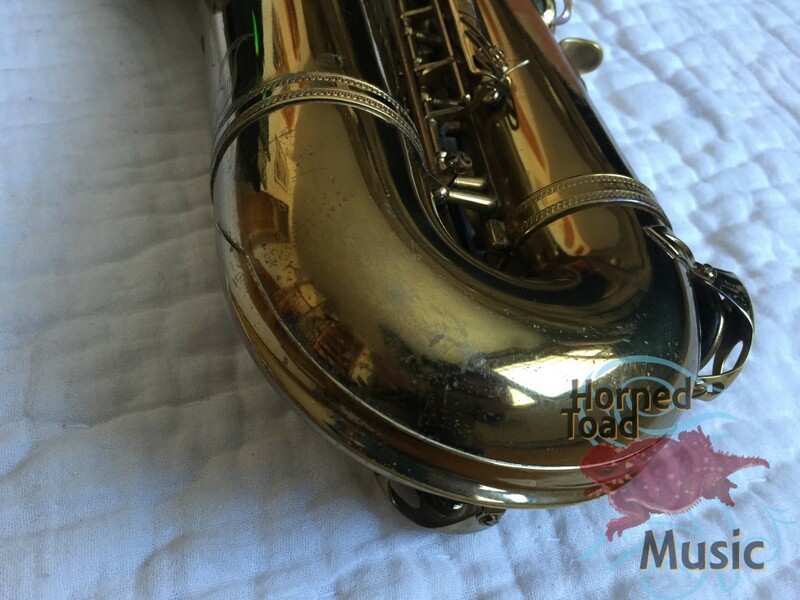 It is a sound that is very easy to center, feels compact yet wider than most MK VI, which is characteristic of this model period. 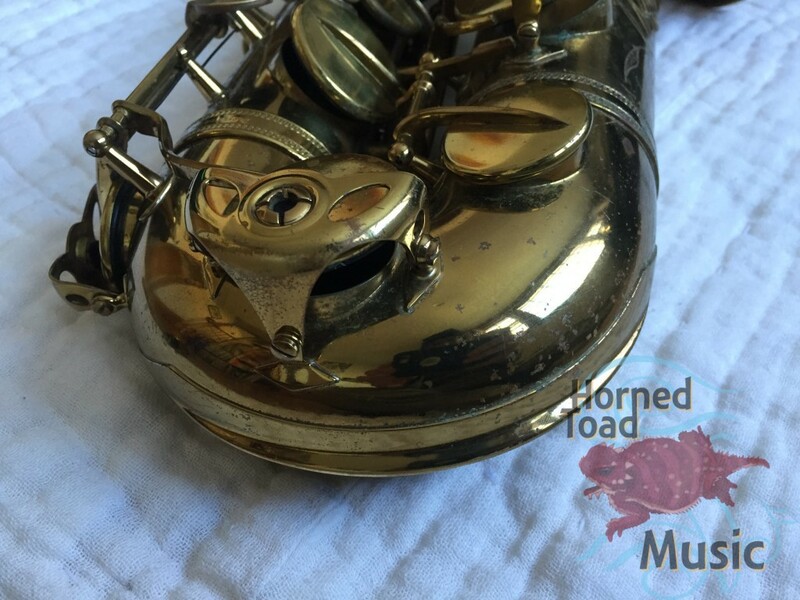 It has a pad job by Ernie Sola with domed brass resonators. 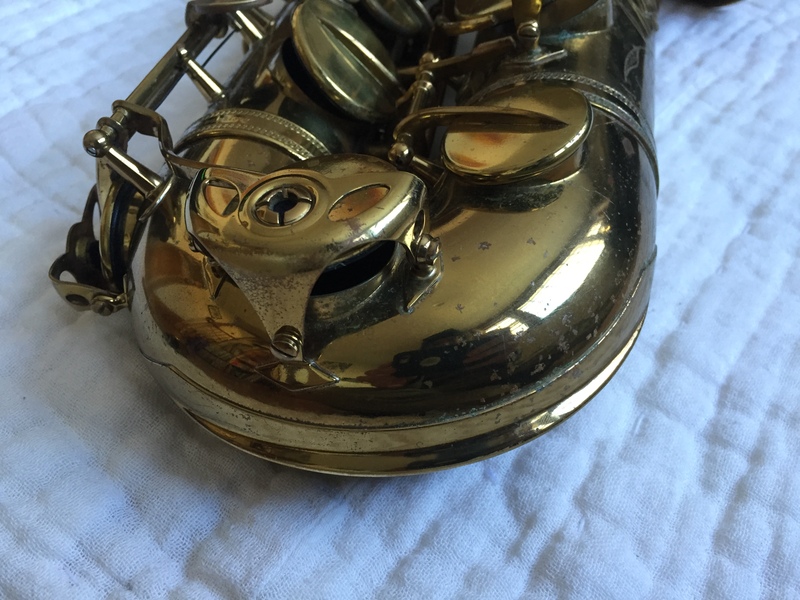 It has original lacquer, a lot of it, with some normal wear. 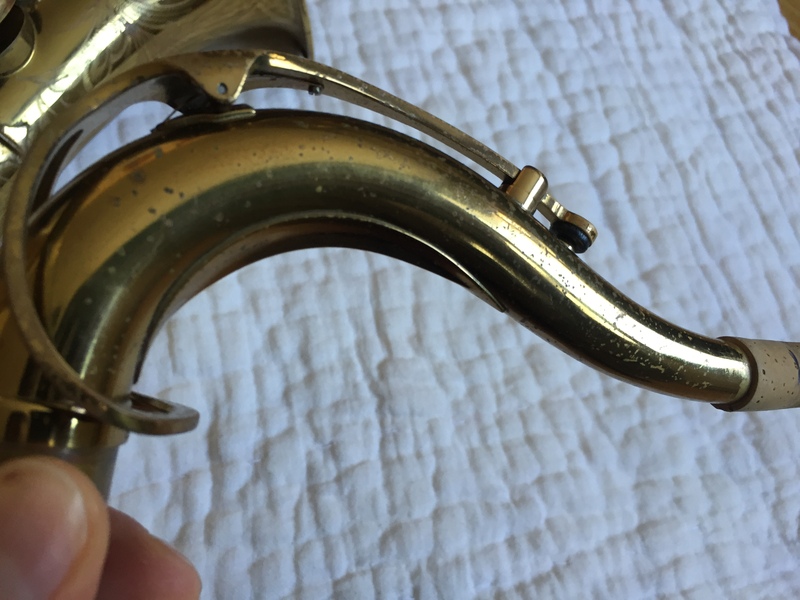 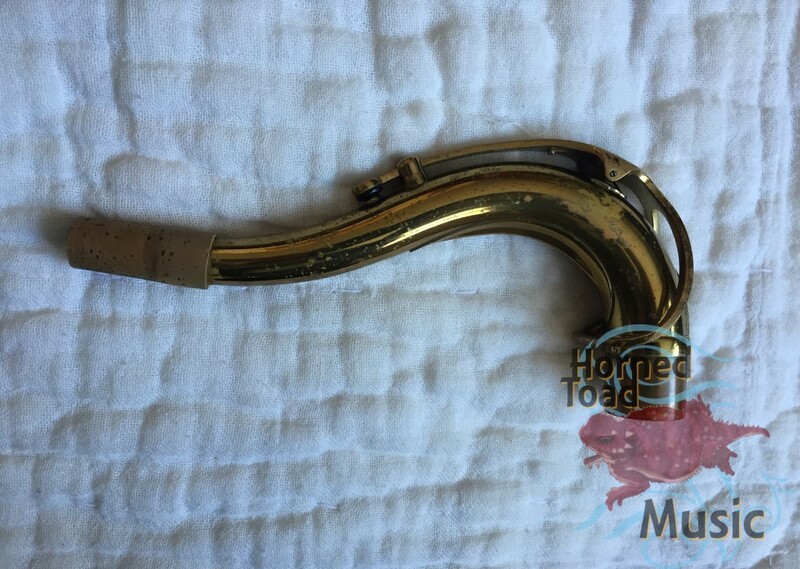 It has only ever had two repairs that I know which are, the thumbook was resoldered (very nicely by Sola) as it had a minor dent underneath, and there was a very tiny ping in the side of the neck that was smoothed out. 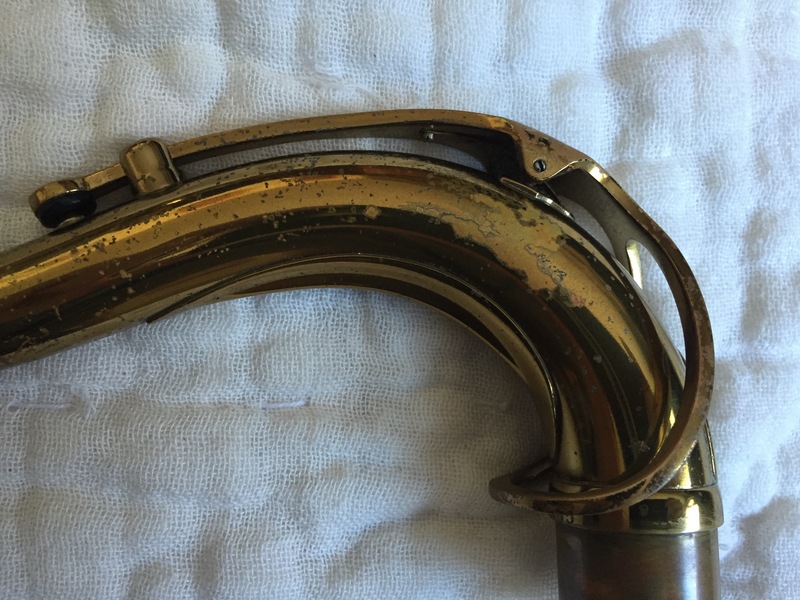 The neck has never been bent. Original case is not present. 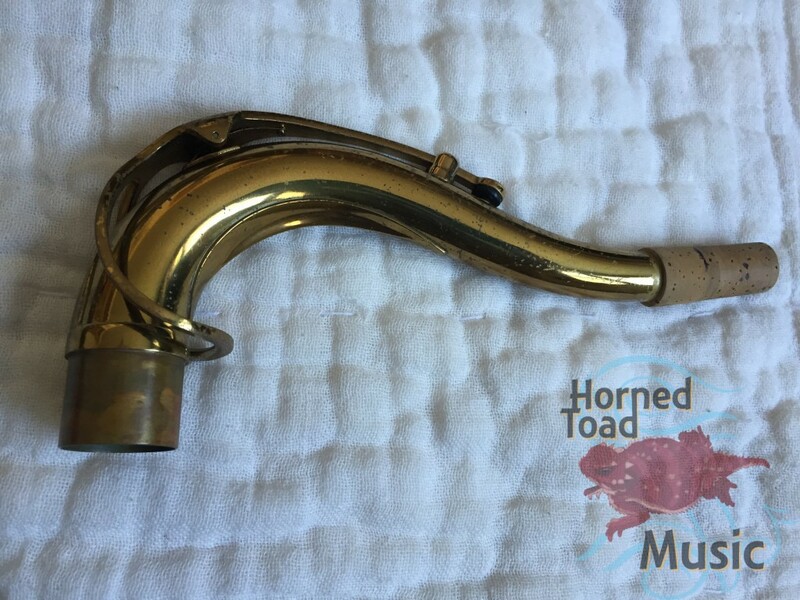 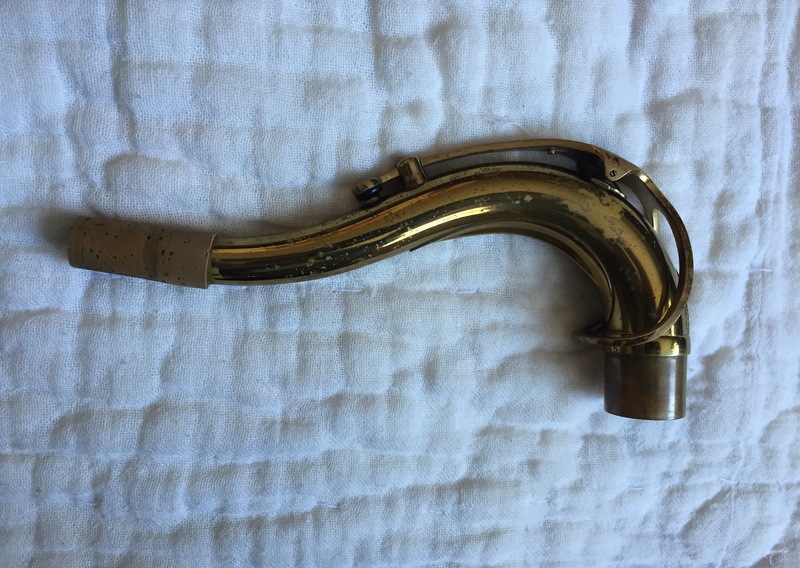 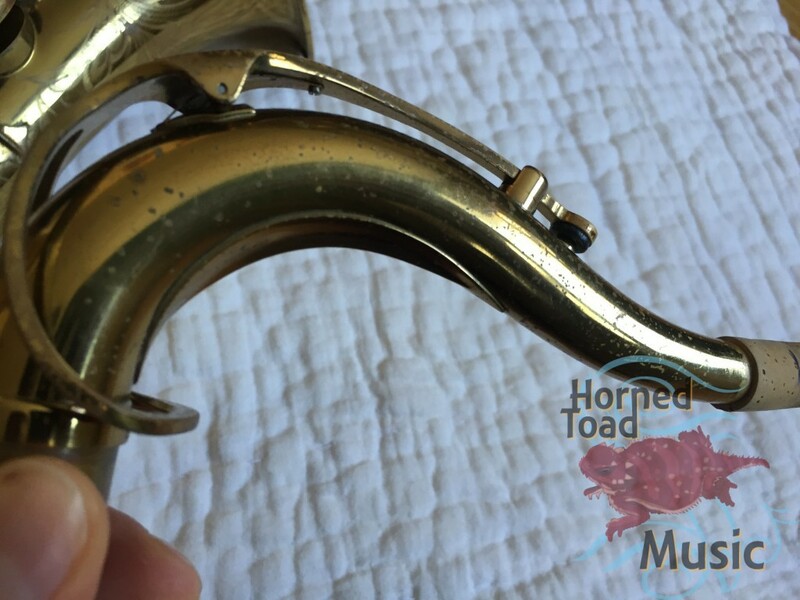 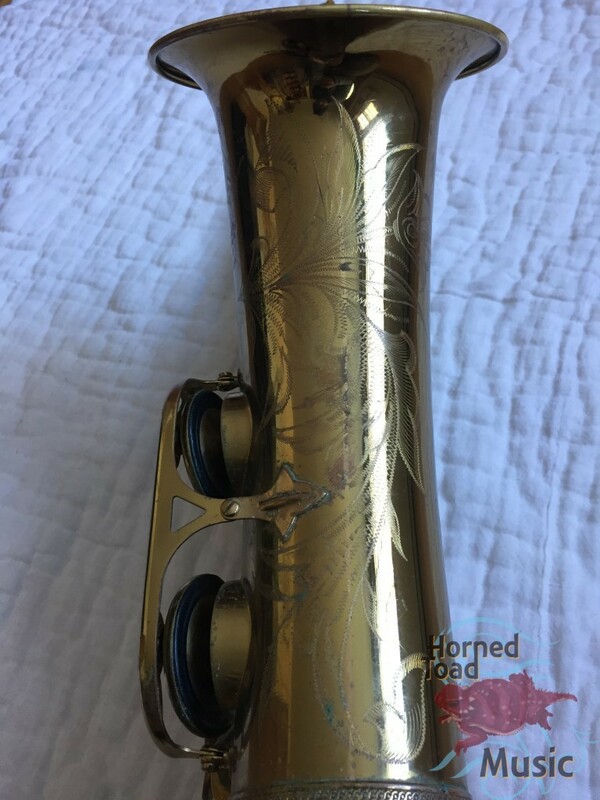 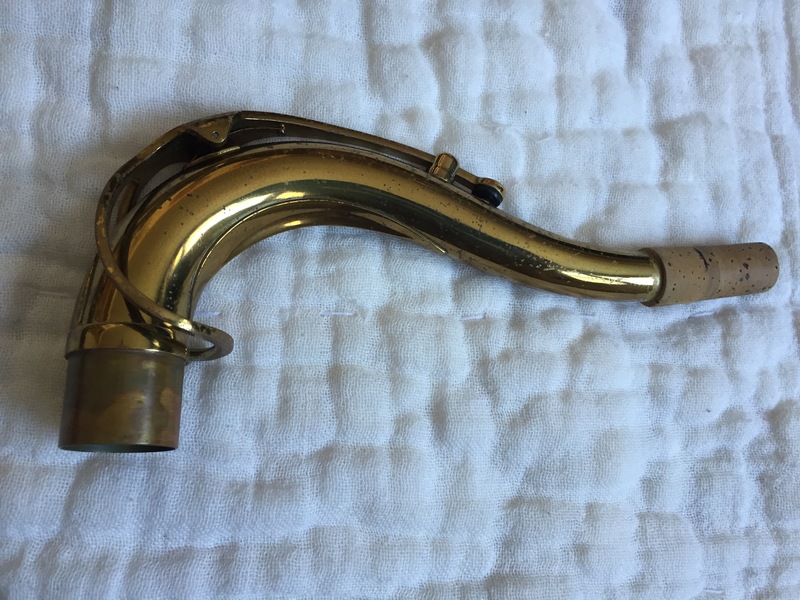 This is the horn everyone wants. I get many emails per month about it, and for good reason. 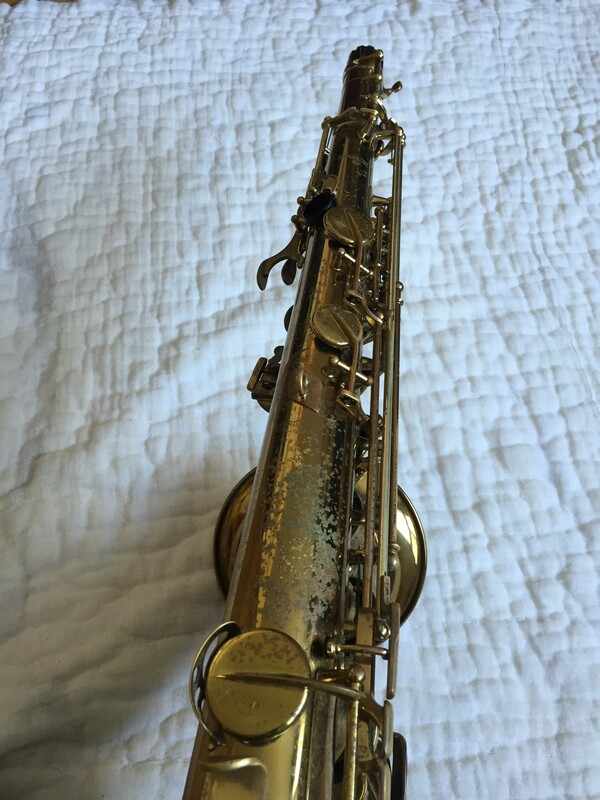 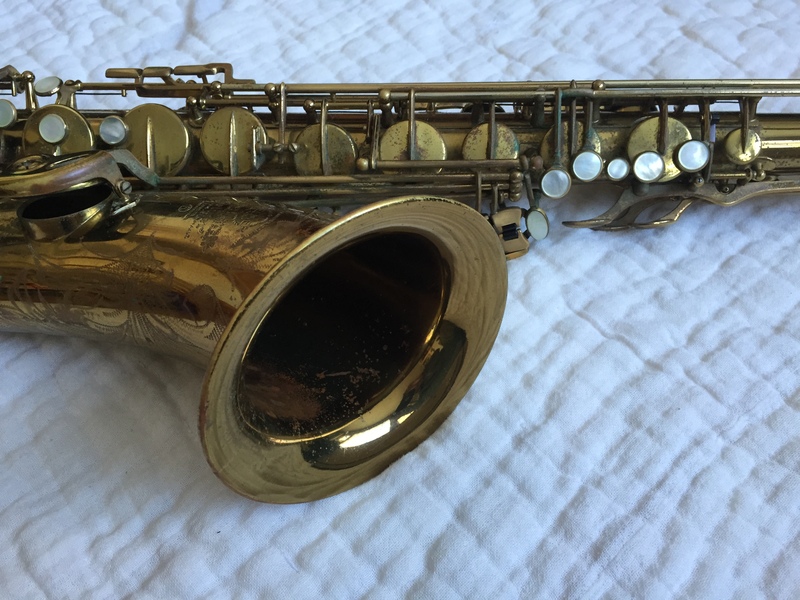 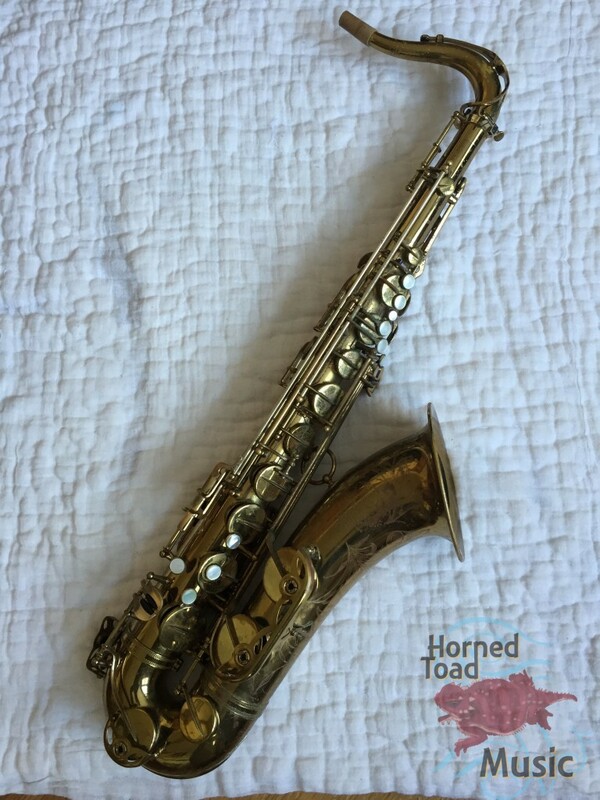 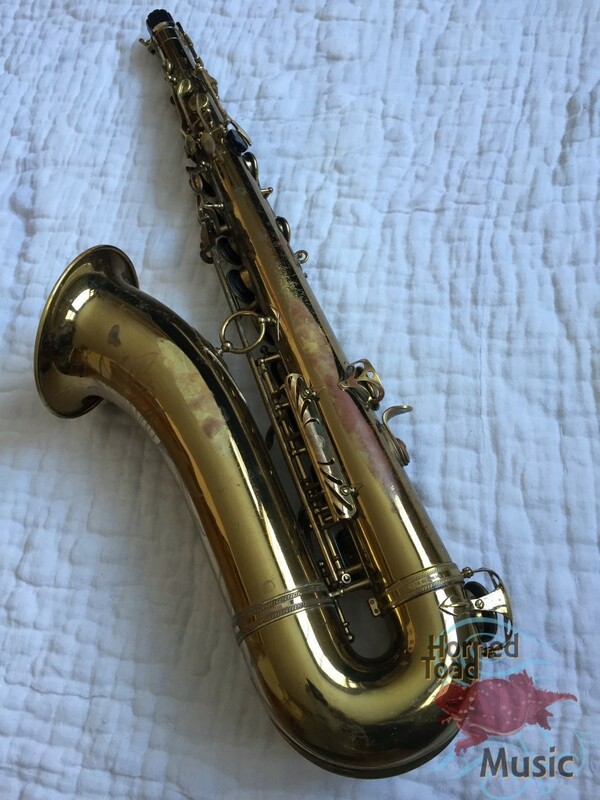 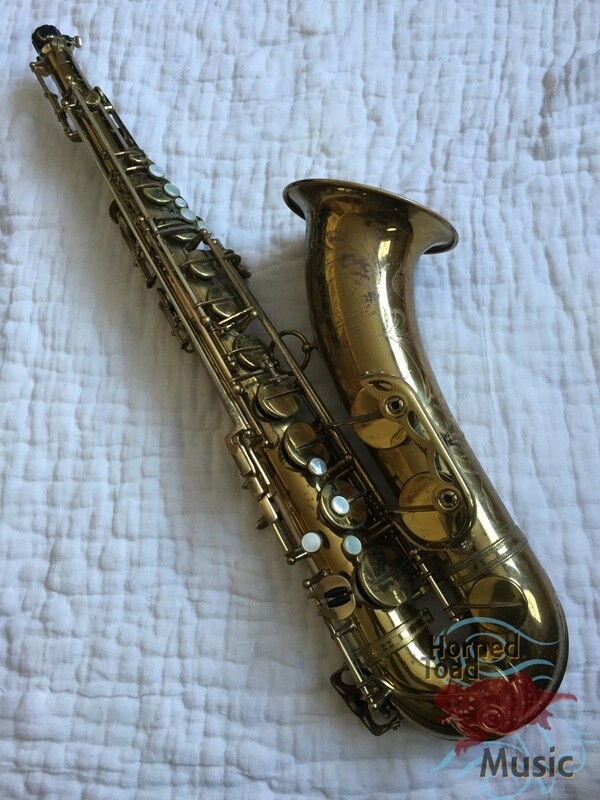 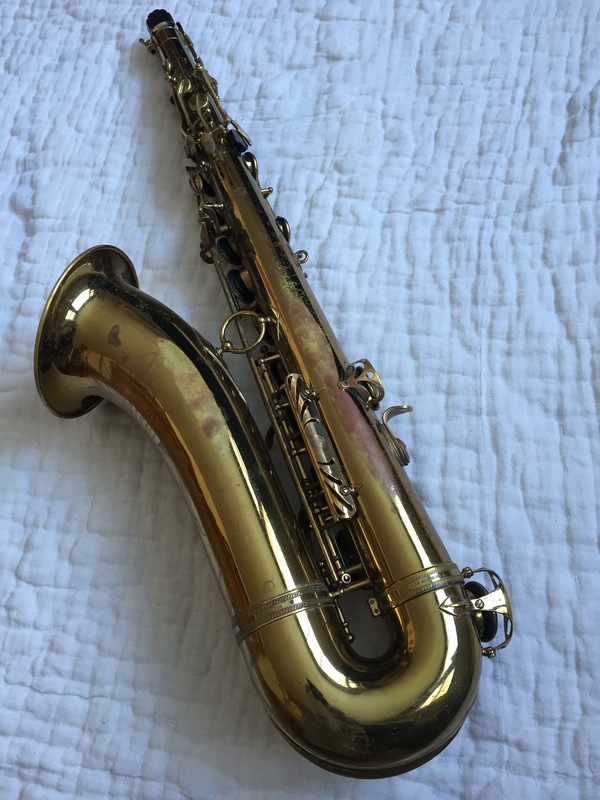 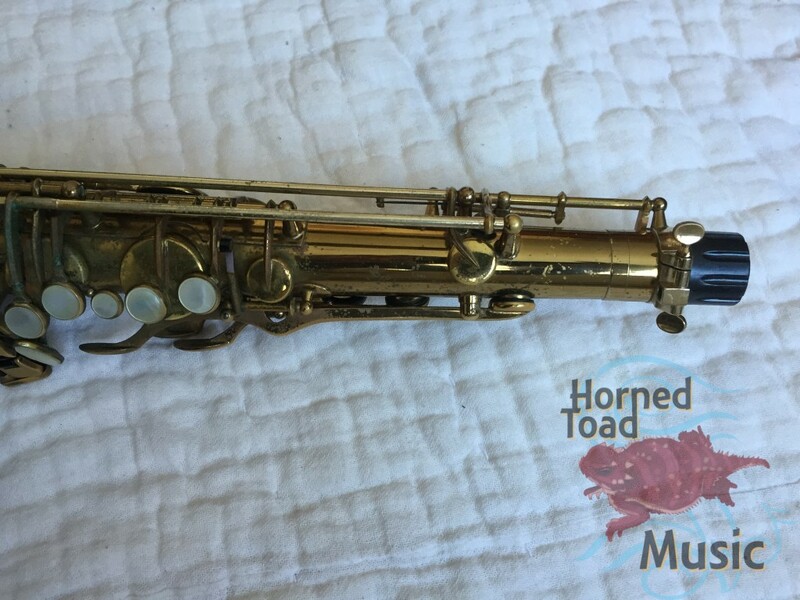 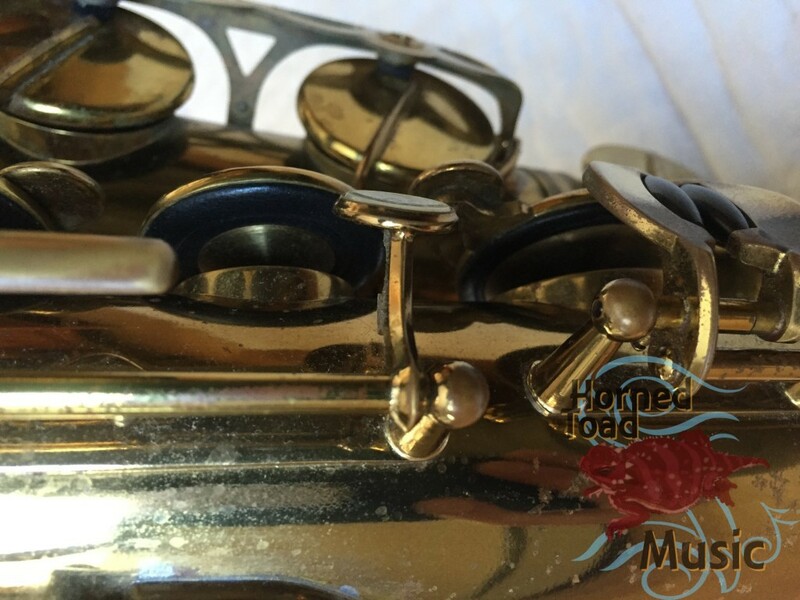 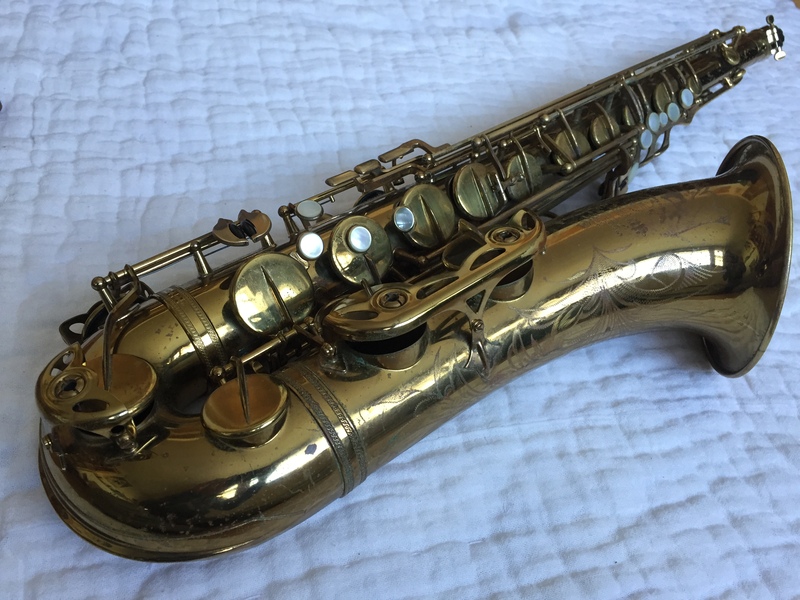 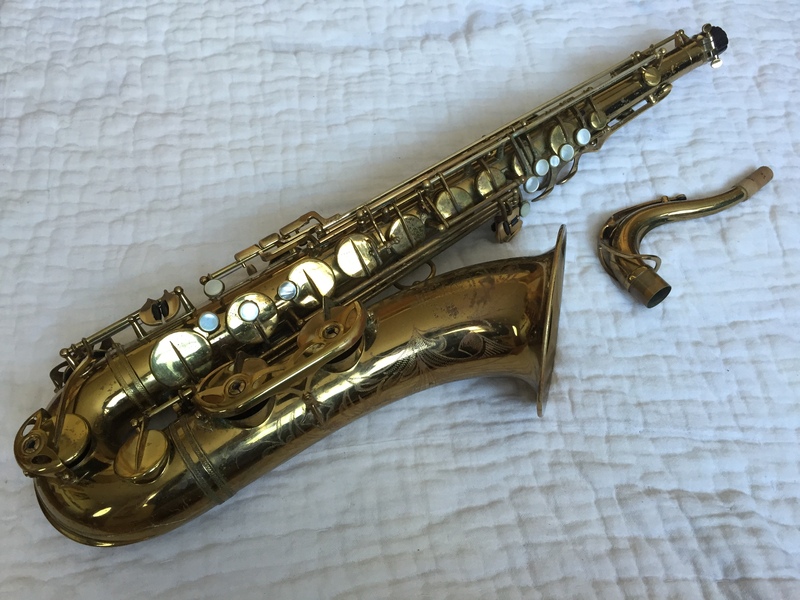 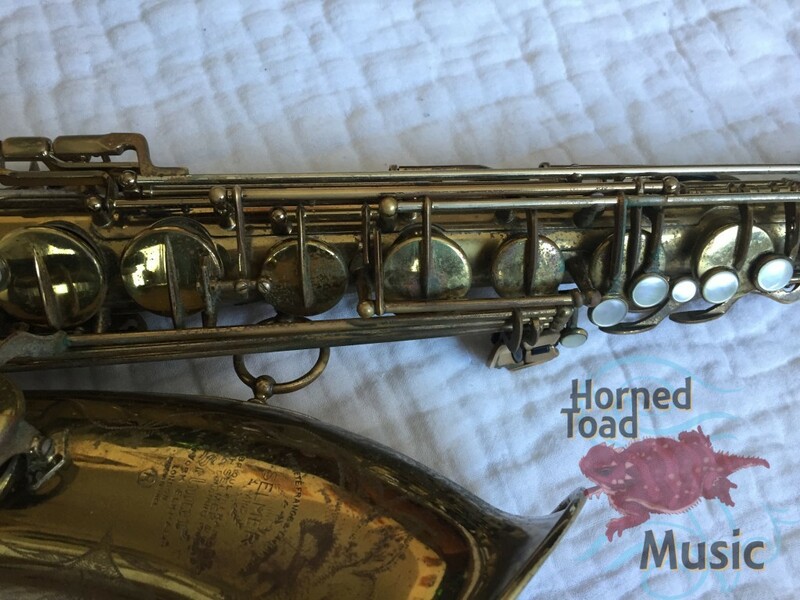 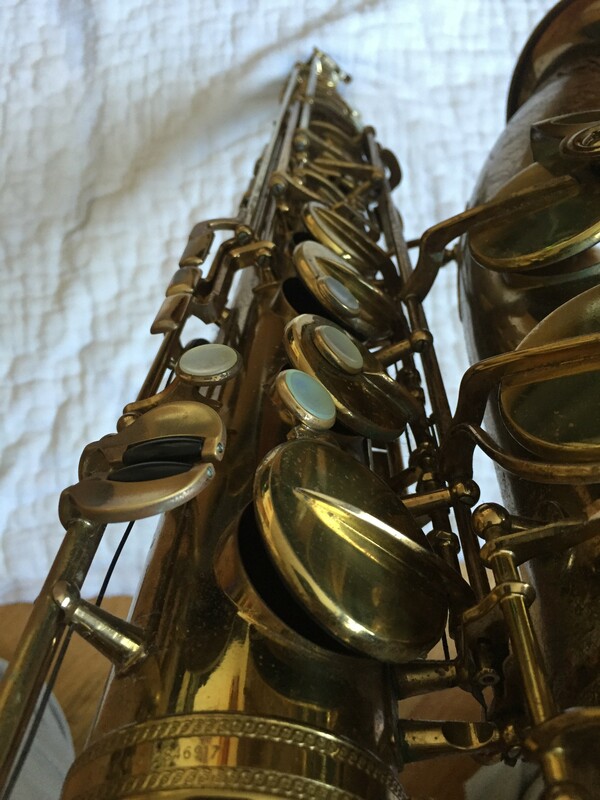 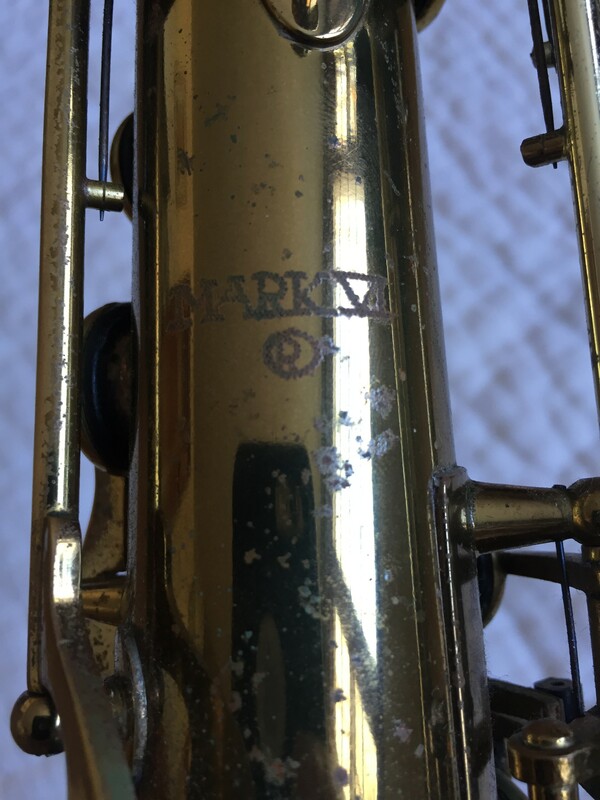 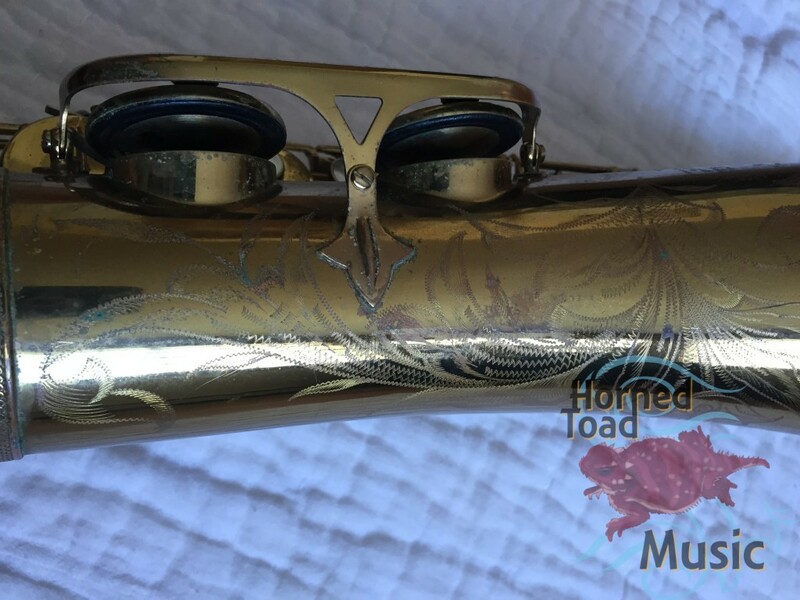 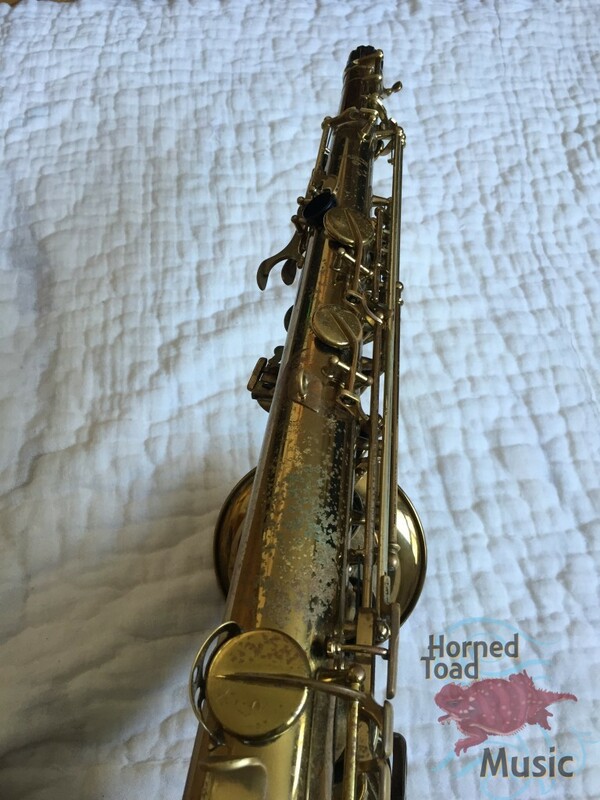 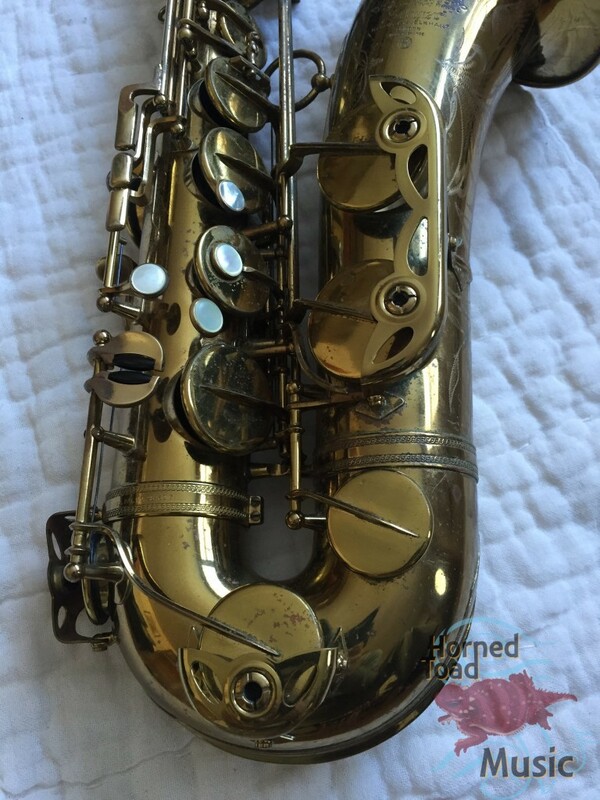 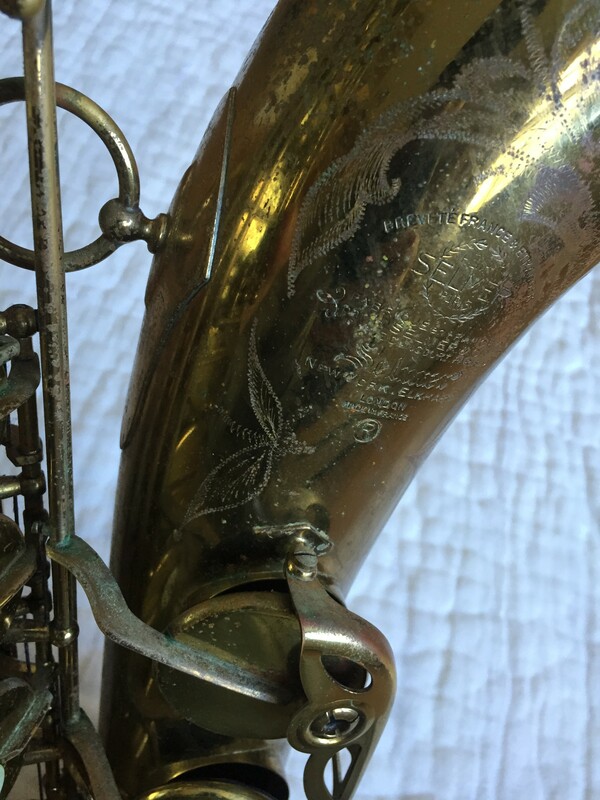 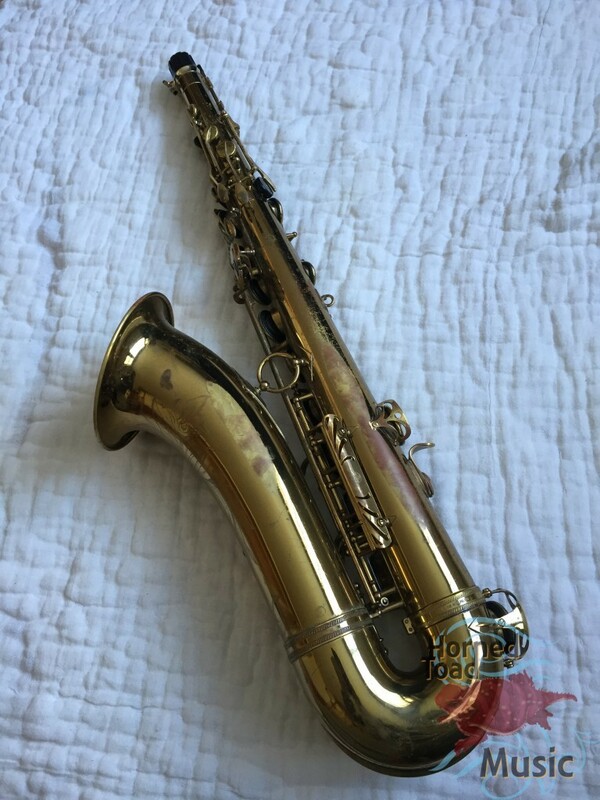 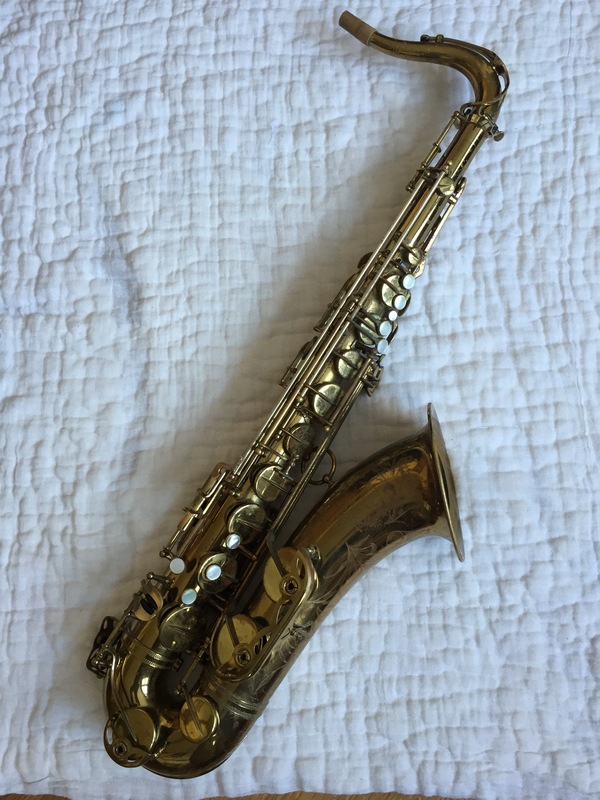 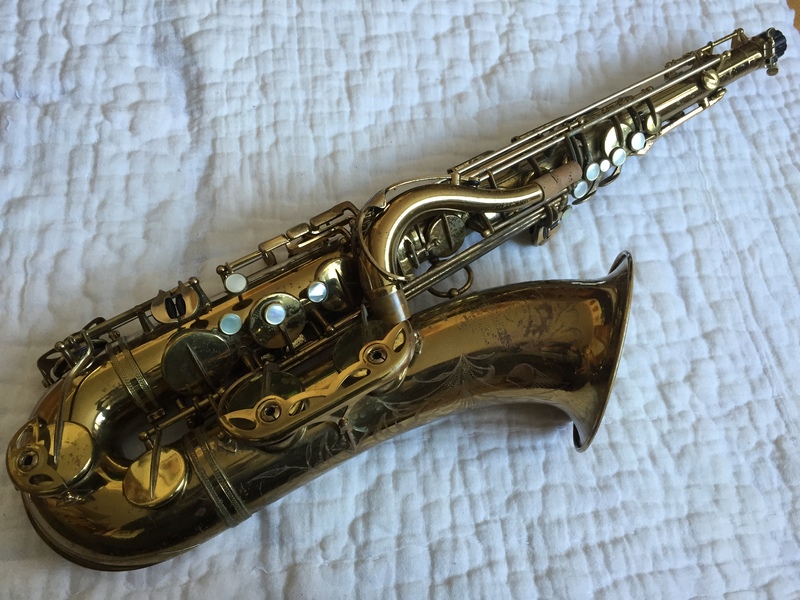 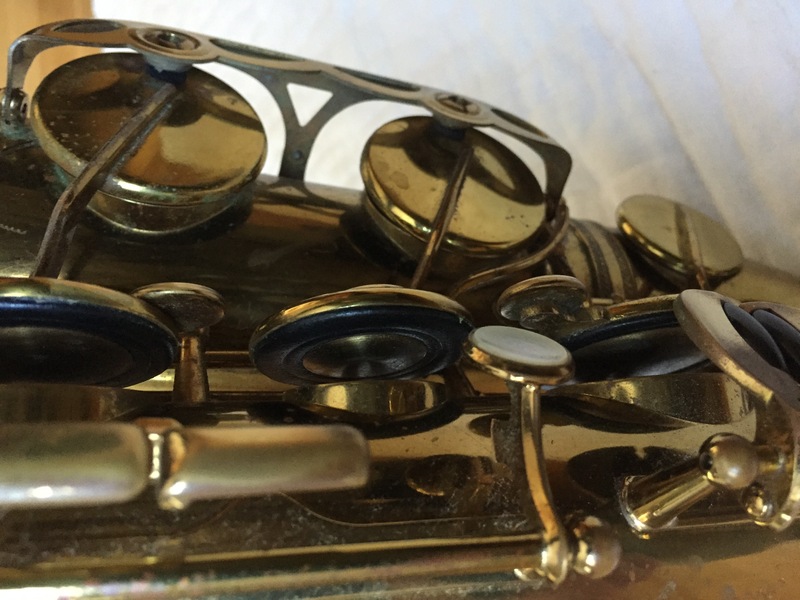 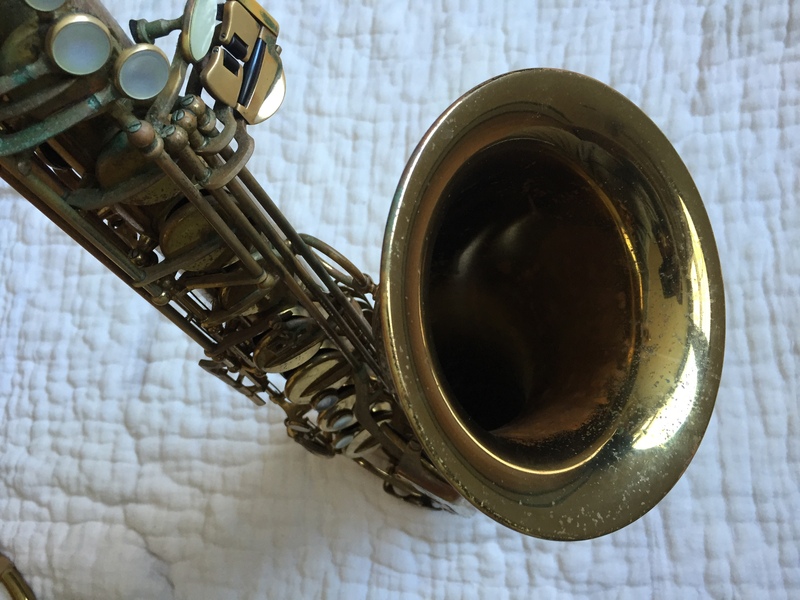 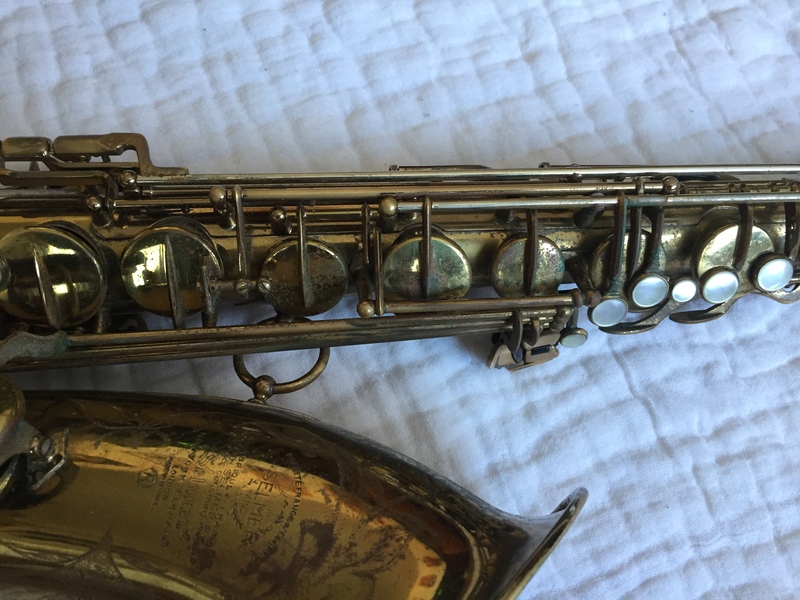 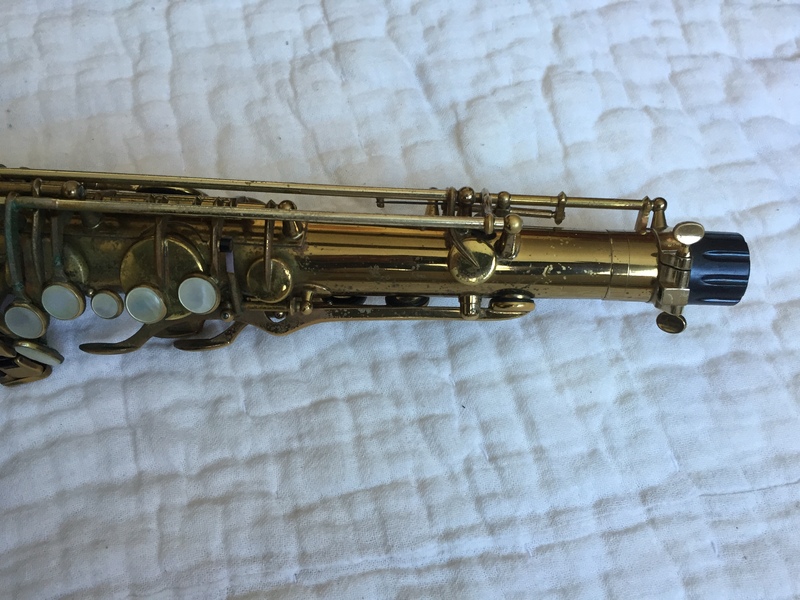 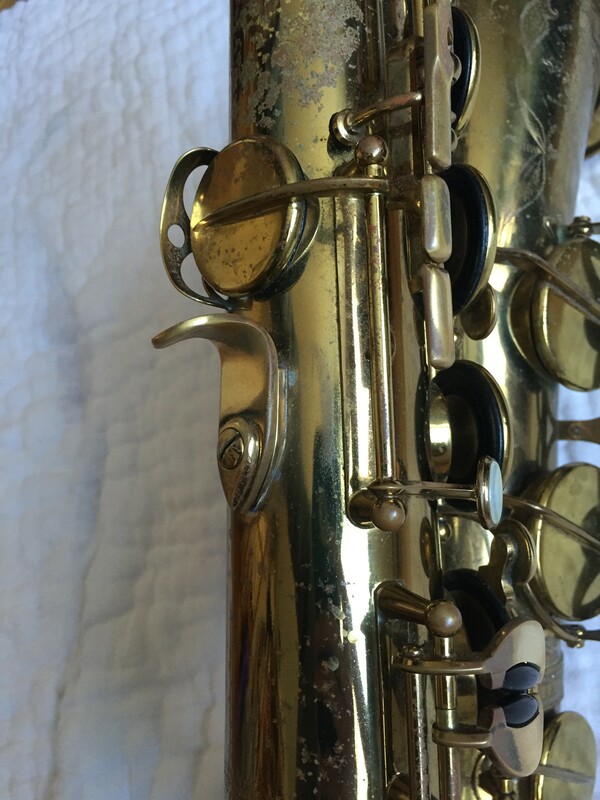 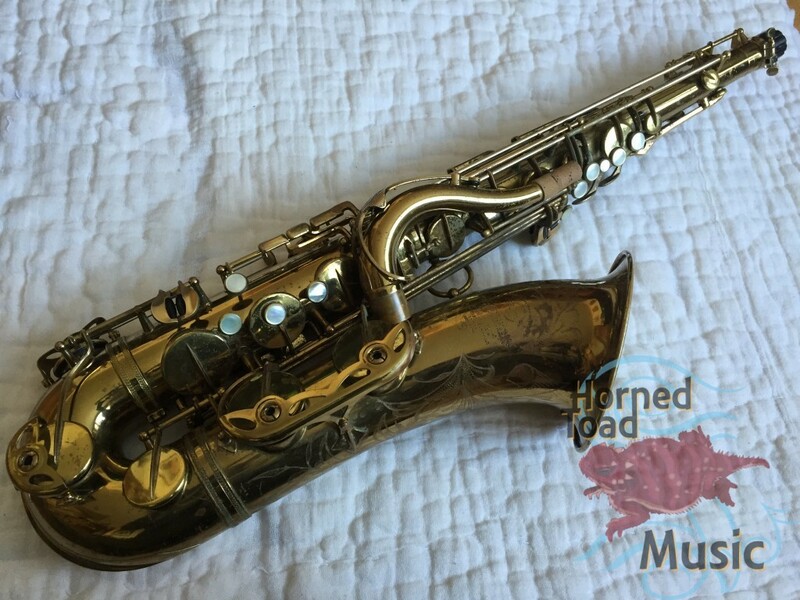 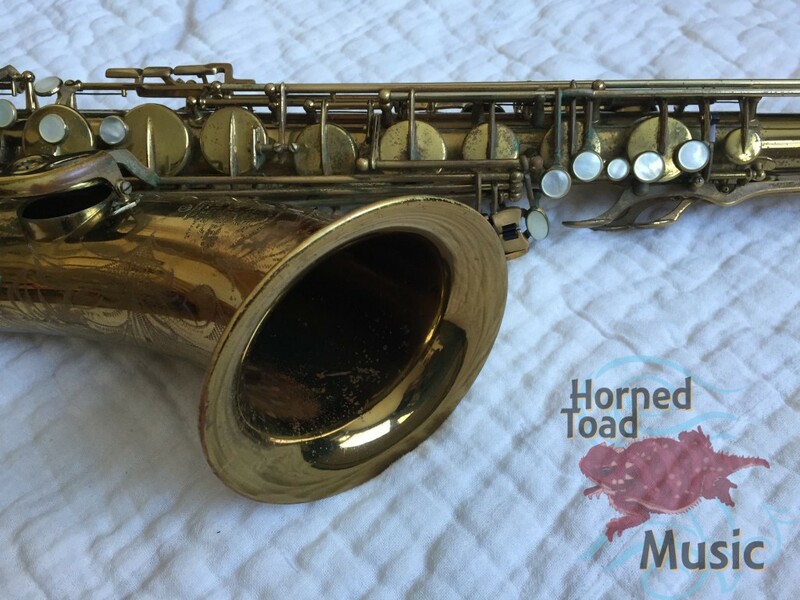 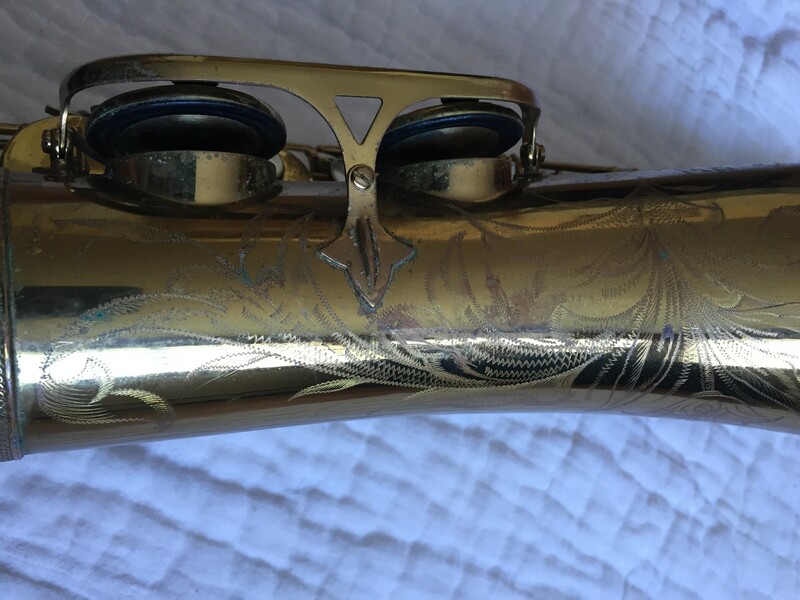 It is absolutely an apex Selmer MK VI.